Coaching changes organisational DNA, through deep focus on behaviours, actions, thinking and impacts on others. The shortest route to behaviour and mindset shift is with custom, targeted coaching as part of an overall leadership program. Leaders need to bring together complex dynamics and situations with personal resilience and positive impact. It is the ability to do this effectively that drives high performance. Whether as one-to-one executive coaching or leadership team facilitation, leaders are able to reflect on impact, align with purpose and alter behaviours to achieve desired results. We use rigorous, scientifically validated assessment tools and techniques, as well as highly experienced executive coaches to transform limiting behaviours. Add that to increasing capability and leaders are in a position to achieve higher performance both in themselves and through their teams. Tangible results, such as up to 20% increase in job satisfaction, reduction in anxiety and increased wellbeing. We also offer team coaching which focuses on uncovering team values and behaviours and transforming them into effective actions. Discovering practical ways to deal with internal pressures and personalities. 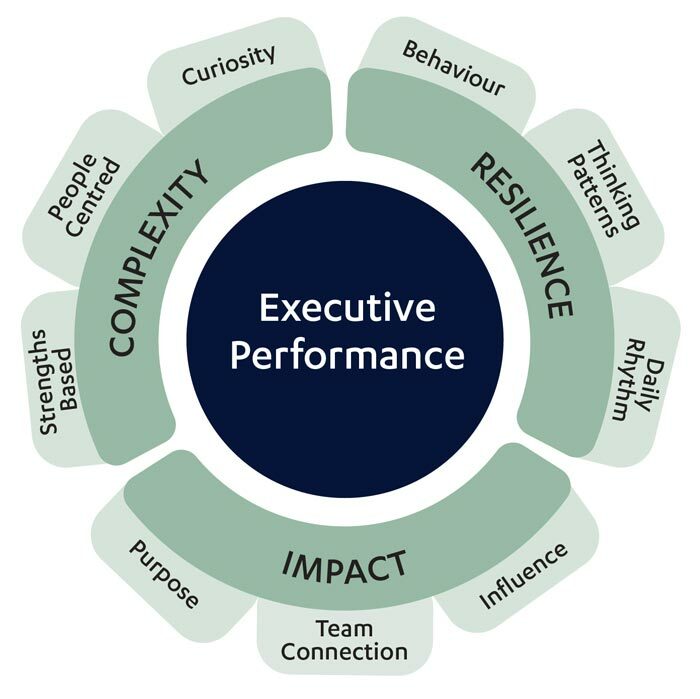 We tailor executive leadership programs to an organisation’s needs by assessing strengths and risks, providing individual and team coaching, and by facilitating workshops. The programs succeed because they are flexible and strategic and align with the goals and vision of the organisation. The aim is to implement a long-term strategy for your organisation based on top business priorities. Programs can also incorporate peer coaching (where two high-potential leaders are partnered to coach each other in a structured manner), or peer mentoring (where a peer mentor is a knowledgeable guide who shares their experience with the mentee). Manage stress and build personal resilience.